The Krause Monument Company operates 3 retail showrooms in Viroqua, Richland Center and Reedsburg, Wisconsin where headstones, gravestones, grave markers, monuments and memorials are displayed, designed and sold. The Krause Monument Company's three Wisconsin retail monument showrooms are located in the tri-state area where Wisconsin, Minnesota, and Iowa border each other on the Mississippi River, which is considered a 'water tripoint'. 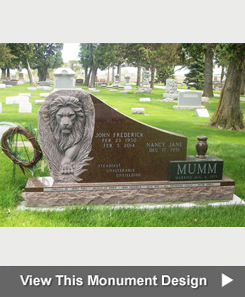 We design and manufacture flat markers and upright monuments for families that live in southwestern Wisconsin, southeastern Minnesota and northeastern Iowa and also deliver gravestones to cemeteries located in Wisconsin, Minnesota, and Iowa tri-state area. 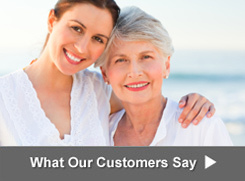 Our Viroqua store serves families who reside in La Crosse, Wisconsin and the surrounding "Coulee Region". La Crosse, incorporated in 1856, is located on Mississippi River and is the county seat of La Crosse County, Wisconsin. The city know for it's natural beauty is the largest city on Wisconsin's western border. Our stores have been creating distinctive raised headstones for generations of families that live in Houston County and Winona County, Minnesota. For over 100 years, we have also been designing cemetery monuments and markers for families that live in Allamakee County, the northeastern-most county of Iowa and Clayton County, Iowa. Customers that purchase our single grave monuments, 2 grave monuments, family monuments, etched monuments, granite memorial benches, gravestones, headstones and gravemarkers usually live in the Wiscosin Counties of Vernon, Crawford, La Crosse, Richland, Sauk, Iowa, Monroe, Trempealeau, Grant, Lafayette, Dane, Green, Juneau, Jackson and Columbia. 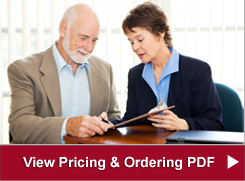 We also deliver and install headstones and monuments located in cemeteries in Madison, Wisconsin. Our stores have been creating monuments for generations of families that live in Houston County and Winona County, Minnesota. For over 100 years, we have also been designing cemetery monuments and markers for families that live in Allamakee County, the northeastern-most county of Iowa and Clayton County, Iowa. We specialize in hand engraved scenes on monuments, gravestones and headstones used for cemetery grave markers in Wisconsin cemeteries. Dark color granite is usually used. 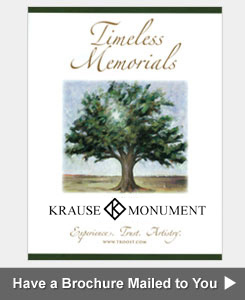 Contact the Krause Monument Company by phone, fax or email for pricing information or to order a monument, headstone, flat marker or other memorial.